We are pleased to distribute the first Cancer Prevention and Control (CPC) monthly newsletter. Our goal in producing this newsletter is to keep our members informed and involved. We are highlighting opportunities for collaborations, new funding opportunities, new grants and promotions, new personnel, and upcoming seminars and events. We always welcome your suggestions and contributions for future issues. Elisa V. Bandera, MD, PhD has agreed to serve as the Cancer Prevention and Control Program’s Co-leader with Sharon L. Manne, PhD, Associate Director for Population Science and Co-Leader, Cancer Prevention and Control Program. Dr. Bandera is a Professor in the Department of Medicine and a well-known cancer epidemiologist, a wonderful mentor, and colleague to us. Please welcome Dr. Bandera to her new role and to the leadership team! Thank you to Dr. Cris Delnevo for her service to the Cancer Center. Dr. Delnevo will remain a member of the program. In late December 2015, the U.S. Food and Drug Administration (FDA) proposed a number of new restrictions related to the use of tanning beds, including banning their use among individuals younger than 18 years. As the comment period on the proposal winds down, investigators Elliot J. Coups, PhD, from Rutgers Cancer Institute of New Jersey; Alan C. Geller, MPH, RN, from Harvard School of Public Health; and Sherry Pagoto, PhD, from University of Massachusetts Medical School, who conduct research on tanning behaviors weigh in with their own ‘Viewpoint’ in the March 16 online edition of JAMA Dermatology (DOI: 10.1001/jamadermatol.2016.0504). 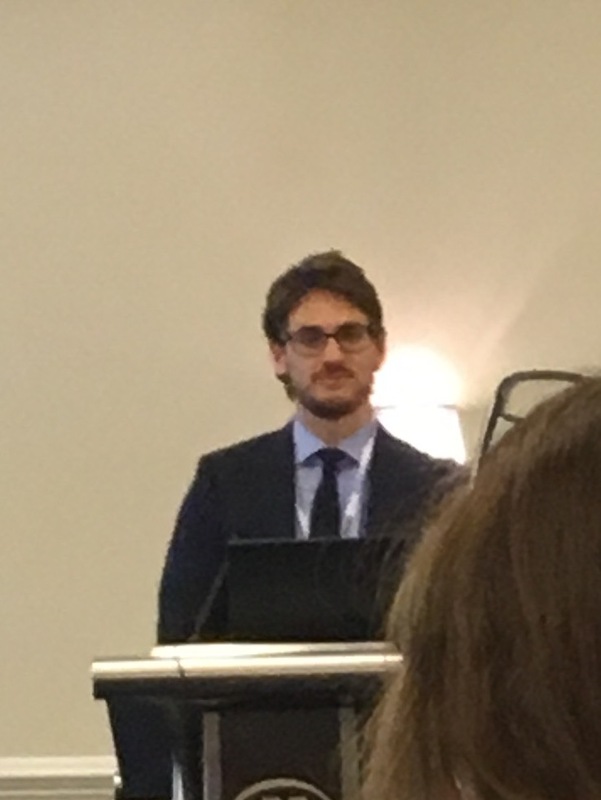 The 37th Annual Meeting & Scientific Sessions of the Society of Behavioral Medicine (SBM) was held in Washington, DC this past March 30 - April 2 where Sharon Manne, PhD, Jerod Stapleton, PhD, a nd Ashley Day, PhD presented . "Couple-focused group interventions for early stage breast cancer"
"Sociocultural experiences, body image, and indoor tanning among young adult women"
"Parent and child characteristics associated with child sunburn and sun protection among U.S. Hispanics"
"Evidence Supporting the Long-term of Nicotine Replacement Medications for Tobacco"
Shawna Hudson, PhD , Associate Professor and Research Division Chief Department of Family and Community Health presented at the US perspective for the session "Survivorship Care-International Perspectives"
Elisa Bandera, MD, PhD and Adana Llanos, PhD, MPH presented in a session entitled “Obesity and cancer biomarkers: new perspectives” at the American Society for Preventive Oncology (ASPO) Annual Meeting at Columbus, Ohio on March 14, 2016. 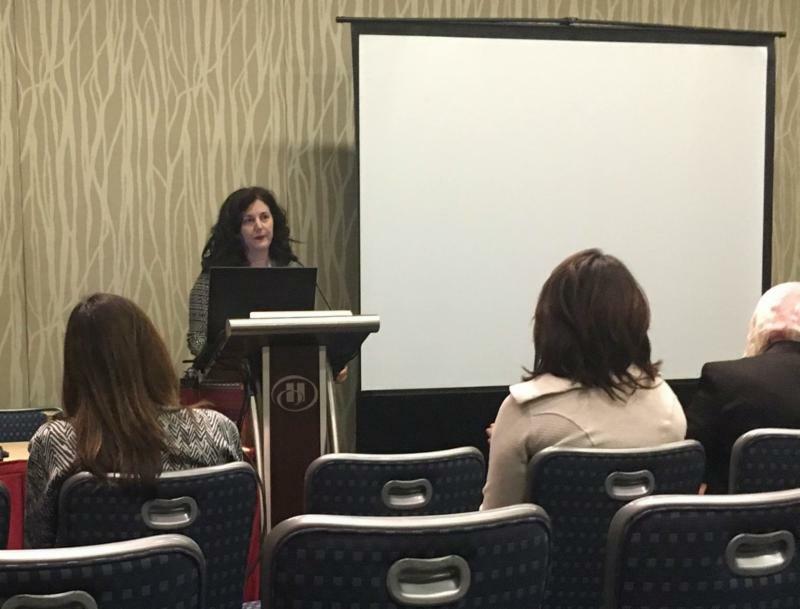 Antoinette Stroup, PhD, Director, New Jersey State Cancer Registry presented at the Population Association of America (PAA) held in Washington, DC entitled, " Translating early life socieconomic status to cancer risk in adulthood: The case of Utah baby boomers" on March 31, 2016. XiangLin Tan, MD, PhD, Assistant Professor of Medicine, Population Science was invited to the International Cancer Study & Therapy Conference in Baltimore, MD for an oral presentation entitled, " Targeting RET signaling pathway: a novel molecular mechanism of action of metformin in pancreatic cancer prevention and treatment" on April 4, 2016. 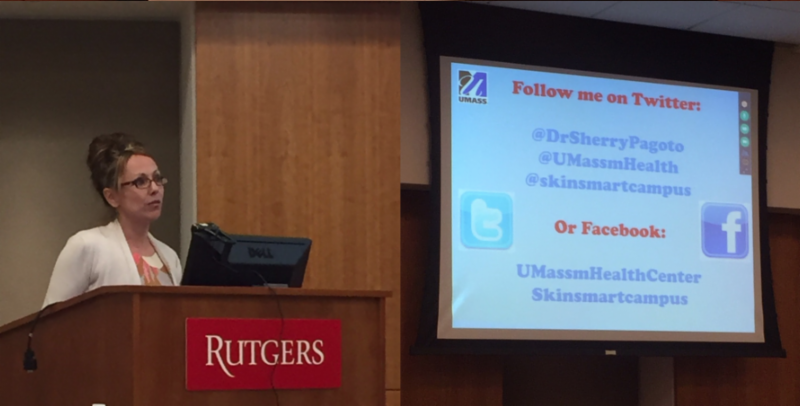 Monday, May 16, 2016, Sherry Pagoto, PhD, Associate Professor of Medicine, Co-Founder UMass Center for mHealth & Social Media, Department of Medicine, University of Massachusetts Medical School. Topic “Leveraging Social Media for Health Behavior Change." 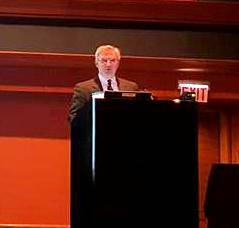 Wednesday, May 18, 2016, Howard L. McLeod, PharmD, Medical Director DeBartolo Family Personalized Medicine Institute, Moffitt Cancer Center, Tampa, Florida presented "Personalized Versus Precision? Let’s Call it Medicine”. 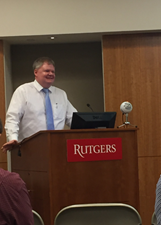 Presentation was hosted by Brian Gonzalez, PhD, Division of Population Science, Assistant Professor of Medicine, Rutgers, Robert Wood Johnson Medical School. Ashley Day, PhD, Post-doctoral Appointee, Rutgers Cancer Institute of New Jersey, Population Science was awarded a grant entitled, “Health beliefs and behaviors among individuals diagnosed with squamous cell carcinoma” by the NJ Department of Health - New Jersey Commission on Cancer Research Post-Doctoral Fellowship. Term: 2016 - 2017, $100,000. Bo Qin, PhD, Post-doctoral Appointee, Rutgers Cancer Institute of New Jersey, Population Science was awarded a grant entitled, “Vitamin D and the risk of ovarian cancer in African-American women” by the NJ Department of Health - New Jersey Commission on Cancer Research Post-Doctoral Fellowship. Term: 2016 - 2017, $100,000. 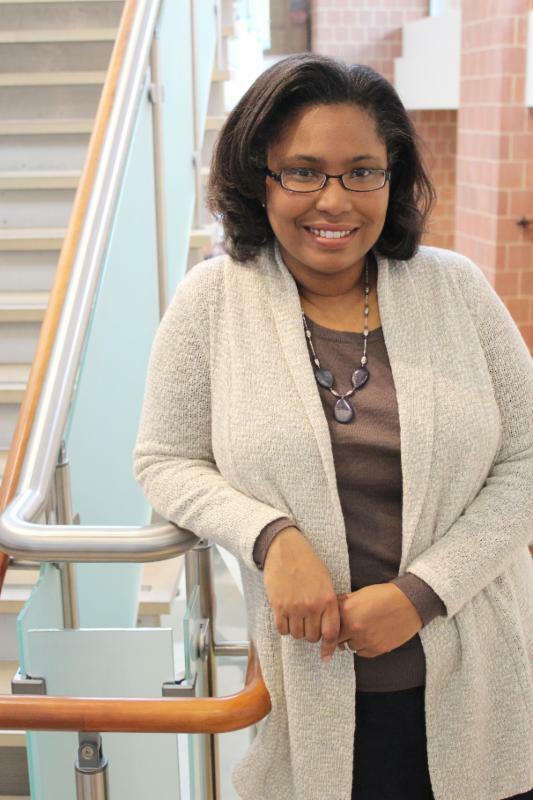 Sharon Manne, PhD, Professor and Associate Director of Population Science has been selected to attend the prestigious 2016 HERS Bryn Mawr Summer Institute, a comprehensive leadership training program for women at academic institutions. Heartiest congratulations to Elliot J. Coups, PhD for achieving tenure status! 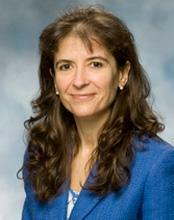 Cristine Delnevo, PhD, MPH has been appointed as Interim Dean of the Rutgers School of Public Health. 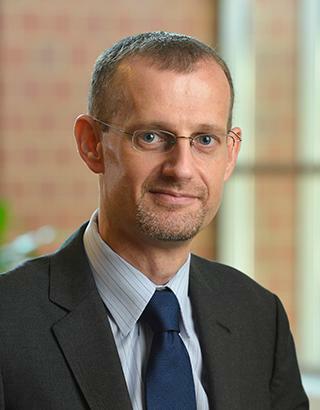 Dr. Delnevo is currently Chair and Professor of the SPH Department of Health Education and Behavioral Science and serves as the Director of the Center for Tobacco Studies. On May 26, 2016, Sharon L. Manne, PhD, will host the 2016 Annual Retreat on Cancer Research in New Jersey Public Forum "Cancer Survivors: Advancing Care through Research." 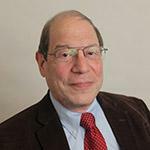 The keynote speaker for the forum will be Alfred I. Neugut, MD, PhD, Associate Director for Population Sciences. Drs. Sharon Manne, Shawna Hudson and Brian Gonzalez will be presenting expert perspectives at the forum as well. Please register online, if you have not already done so. Learn more . Rutgers Cancer Institute of New Jersey and the New Jersey Commission on Cancer Research (NJCCR) are hosting the 2016 Annual Retreat on Cancer Research in New Jersey on May 26, 2016, a gathering of world-renowned scientists from the cancer field. A panel of expert researchers from New Jersey present perspectives on the following subjects: nutrition and cancer prevention, angiogenesis, emerging new drugs for therapy, genetics of cancer, and complementary medicine. Learn more. Sharon L. Manne, PhD, and Howard Kaufman, MD, FACS, will host an upcoming CPC & CIPT Cross-Program Collaborative Retreat. More information coming soon. EXCELS Supplement (R01 CA176838-03S2) abstract entitled, “Weight-Related Risk Perception and Communication among Overweight/Obese Breast Cancer Survivors” selected for scientific merit award by the selection committee. Only 6 of the 190 abstracts submitted for the conference received this citation. Dr. Allison Christian will present on Thursday, June 16, 2016 from 5:30-7:00 pm. 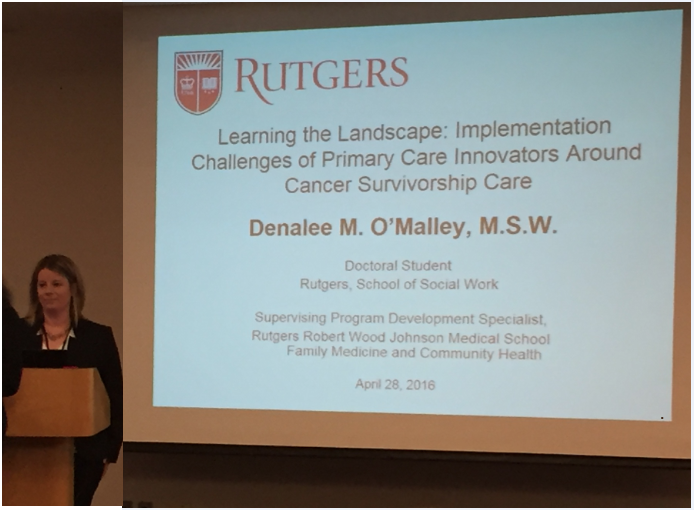 EXCELS (R01 CA176838) development process abstract entitled, " Excels: A Web-Based Program to Facilitate Engaged Self-Management in Primary Care for Cancer Survivorship Follow-up " highlighted as one of the “best” by the selection committee. Dr. Shawna Hudson will present as one of five, 12-minute talks during the Best Abstracts session on Friday, June 17, at 4:00 pm - 5:30 pm. Please join us for the next CPC meeting on Monday, June 20, 2016, 3:30 pm. Presenter will be XiangLin Tan, MD, PhD, Assistant Professor of Medicine, RCINJ-RWJMS. Topic “ Repurposing Old Drugs: An Effective Route for Cancer Prevention and Control " Refreshments provided. Click here for a full list of upcoming 2016 CPC meetings. Cancer Epidemiology Faculty Position in the Population Science Division at Rutgers Cancer Institute. Assistant Research Coordinator two (2) positions available in bio-specimen related research at RCINJ. The Rutgers Cancer Institute Research Development Pilot Project Award Competition (CPC) 2016 Cancer Prevention and Control (CPC) - Spring Cycle is due June 15, 2016. Please contact Willetta Boswell for a copy of the RFA and application and let her know immediately if you plan to submit an application.